I wanted to bake to cookies, but the oven is still broken. Luckily, I had a toaster oven so I decided to put it to use. 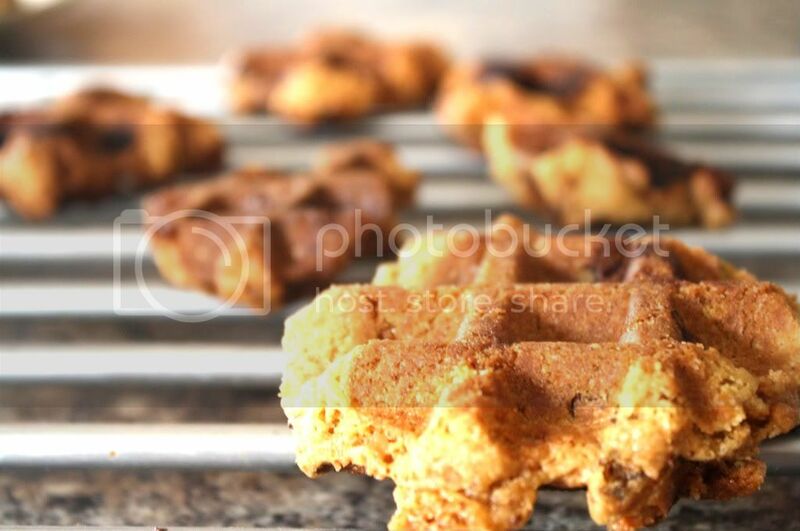 Before I tinkered with the little baby oven, I was inspired by Waffleizer to make cookies with the waffle machine. 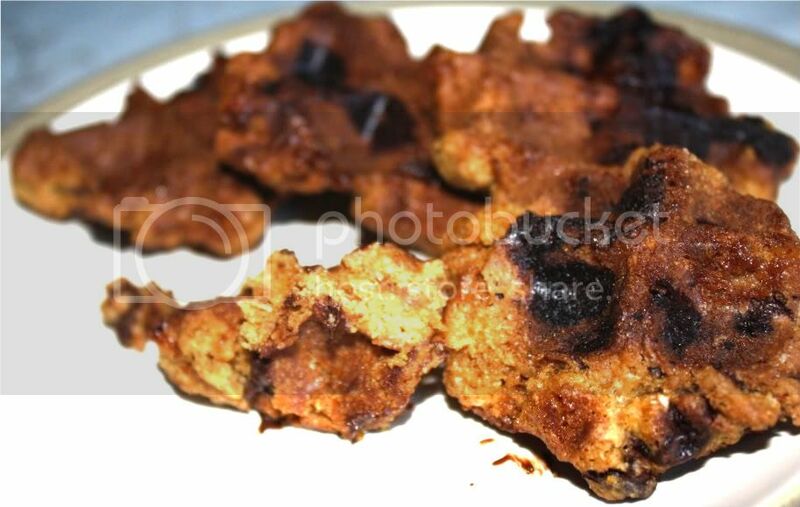 My attempt at making waffle cookies wasn't very successful. I left them in the waffle machine for 7 minutes and it was way too long. I knew that normal cookies usually bake for 10-12 minutes and cookies that are directly touching the heat element would cook faster, so I thought 7 minutes was a perfect comprise. The cookies turned out way too hard. On my last cookie, I only cooked it for only 2.5 minutes and it turned out alright. Even though they were inedible, they did stack up nicely. For the rest of the cookie batter, I used the toaster oven. I made some normal cookies. I also made some Two-Bite Cookies. And they also stacked up pretty well. 1. 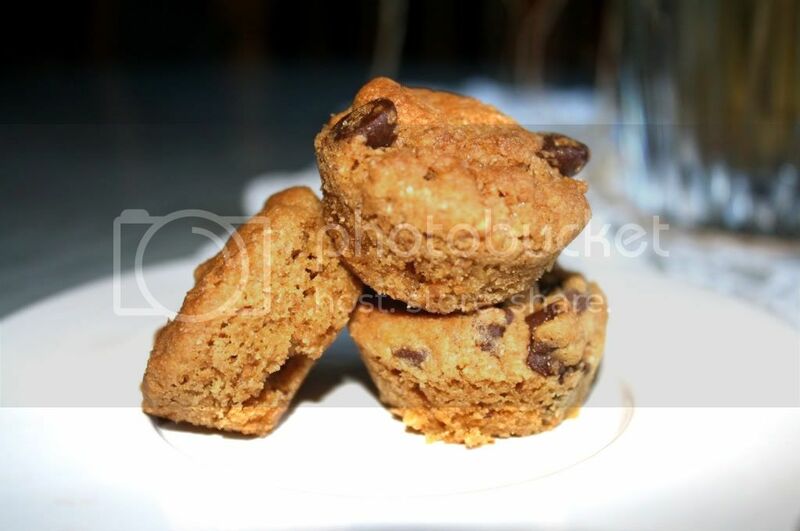 Cream together 1 cup softened butter, 1 cup packed brown sugar and 1/2 cup granulated sugar. Beat in 2 eggs and 1-1/2 tsp vanilla. 2. 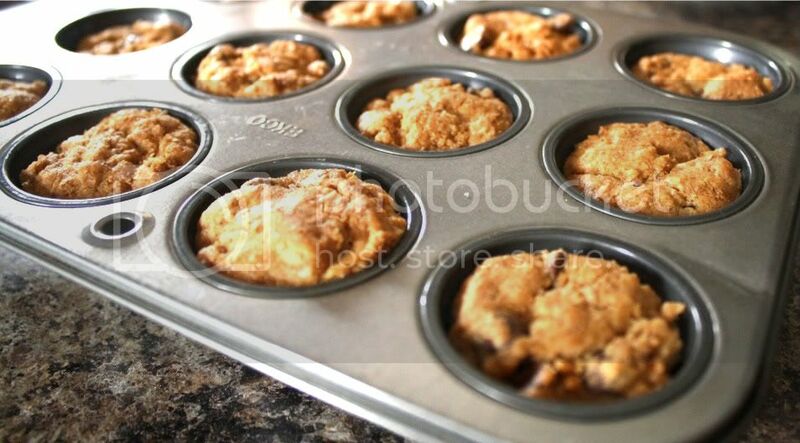 Combine 2 cups all-purpose flour, 1 tsp baking soda and 1/2 tsp salt. Gradually blend into creamed mixture. 3. Stir in 2 cups chocolate chips and 1 cup chopped nuts (optional). 4. Drop dough by tablespoonfuls onto ungreased cookie sheet. Bake at 375 degrees F for 10-12 minutes. Makes about 4 dozen cookies. 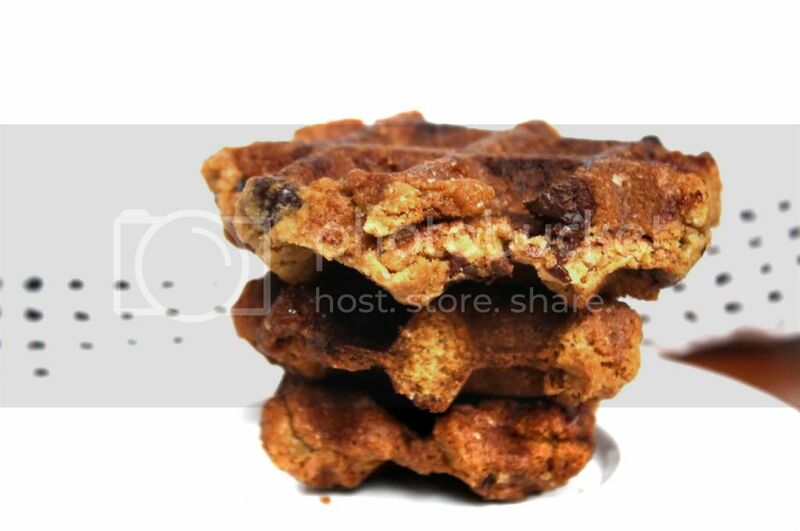 I have never heard of making cookies in a waffle iron! It looks difficult, but definitely creative :) I love those two bite cookies! Glad the toaster oven came through in the pinch and hope your big oven is fixed soon! Kudos to you for your ingenuity! I like the two bite cookie results. I'd be afraid to use my waffle maker because it's one of those deep Belgian types. 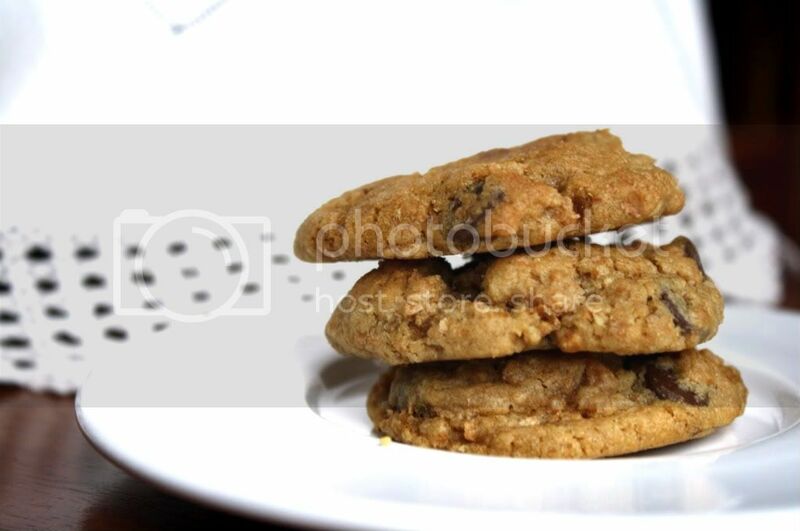 I love those two bite cookies! 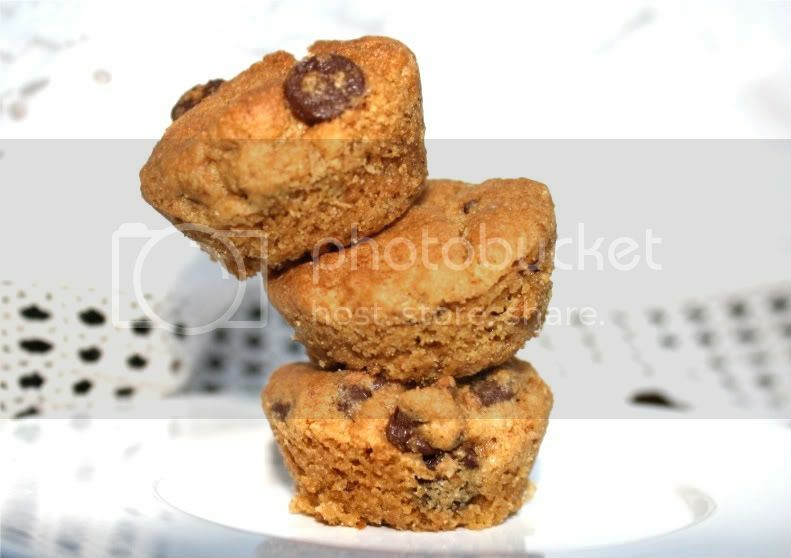 I have two mini cupcake trays, so I know what I'm going to be doing the next time I make cookie dough. Thank you for sharing both your failure and your sweet successes! Yo! Let's go to the cafe... The Yogurt Cafe.